The Sinuous FJ200 is a fresh look at an Internal Dual Battery Device. It hails design cues from the original Predator 228 but with the addition of an updated centered 510 and larger OLED. Featuring an innovative temperature protection technology, the safety of charging will be greatly enhanced. The 200W max output and 4600mAh battery are engineered to deliver a satisfying all day vaping experience. The Divider atomizer rivals the look of the new Sinuous FJ200 with the convenient top fill feature that appears hidden with the strategically designed accent lines and has a juice capacity of 2ml to 4ml. 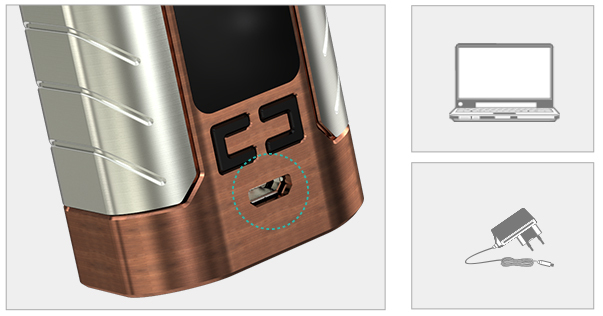 The Sinuous FJ200 Battery and Divider atomizer kit show the attention to detail that only Wismec can deliver.